The battered euro took another plunge towards parity with the dollar yesterday, shedding over 1 per cent to trade below $1.06 for the first time in 12 years as a €1.1 trillion bond-buying programme beganto bite. The European Central Bank started buying sovereign bonds with newly-created money on Monday in an effort to boost growth and inflation in the eurozone, sending yields on the debt of nearly all its countries to record lows and driving investors away from the euro. The single currency skidded to $1.0560 yesterday, down 1.3 per cent on the day and adding to an almost 13 per cent fall since the start of the year that is set to leave the euro with its worst quarter on record. “[The dollar and the euro] can go to parity and it can happen pretty quickly, within the next month or two,” said Gian Marco Salcioli, head of FX Sales at the investment banking arm of Italy’s Intesa Sanpaolo Banca IMI. Around a third of the euro’s fall this year has come since Friday, when a stronger-than-expected US jobs report fuelled speculation that the US Federal Reserve could raise interest rates as soon as the middle of this year. Paul Lambert, who runs a $325 million currency fund at Insight Investment in London, said the euro’s fall against the dollar this week had been exaggerated by a broad dollar rally since the jobs data, which also took the greenback to a seven-and-a-half-year high against the yen on Tuesday of 122.04. 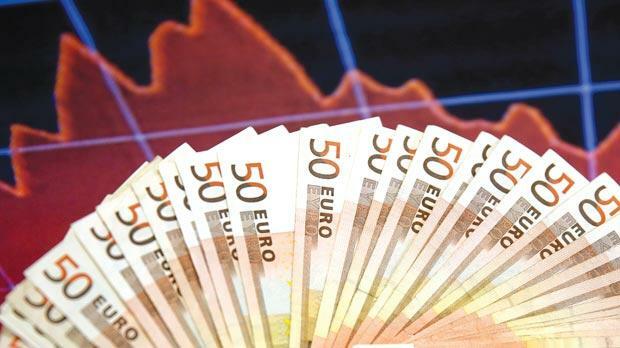 The euro fell across the board, hitting a seven-year low against sterling of 70.145 pence and even an 18-month low of 128.360 yen, which stayed close to its lows against the dollar. Benefitting from its gains against the euro and yen, the greenback soared 0.9 per cent to a 12-year high of 99.507 against a basket of major currencies, within a whisker of the psychologically important 100 level last seen in April 2003.